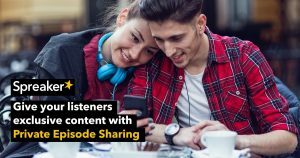 Spreaker has introduced Private Episode Sharing. It allows you to share your episodes with a few select listeners. Private Episode Sharing is a way to apply exclusivity to your podcast. Creating exclusive content that only a select few listeners can access is a great way to show thanks. If listeners have stuck around since the beginning or performed a specific action – like donated to your podcast or bought one of your products – you can reward them with an episode that can be listened to by them and only them. Spreaker says that exclusive content can also be the principal way you monetize your podcast. The example Spreaker gives is a podcaster who offers language classes over the course of a podcast season. That podcaster can set up a special private link that will only be available to listeners who pay for the course. Those who pay will receive access to the exclusive content through a special link. 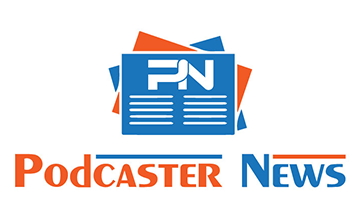 Private episode sharing is available to all Spreaker Pro users who have upgraded to the Broadcaster, Anchorman, and Station plans. They will be able to change a specific episode’s visibility to “Limited Access”. A new link will appear that can be given to select listeners.